Every woman knows, brunch is vital to happiness. And what's brunch without coffee and cupcakes and fruit? 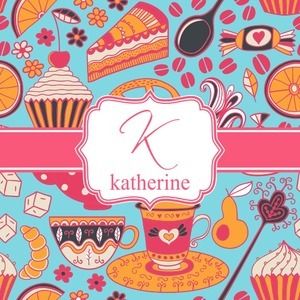 This upbeat design features all these beloved ingredients in bright oranges and pinks, set on a teal background. To make this design even more adorable, customize it by adding your name and initial.